"TAMA and FRIENDS" are back! 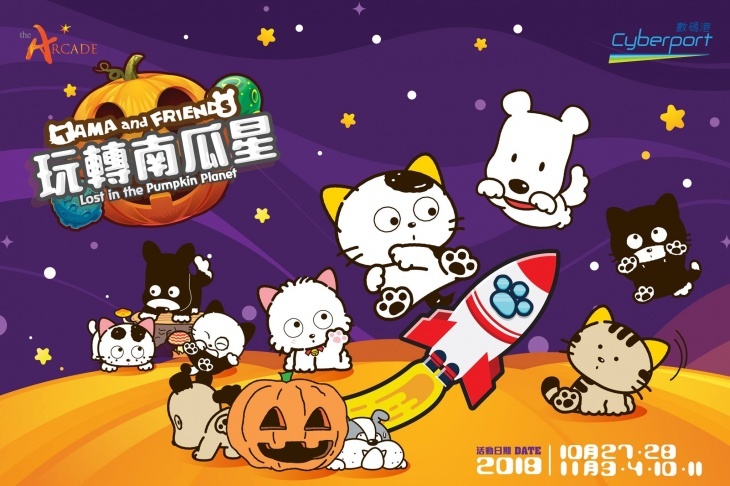 From 27 Oct to 11 Nov (3 weekends), The Arcade together with @Dreamcatcher will present "TAMA and FRIENDS Lost in the Pumpkin Planet"! Exciting activities including 4-meters high "Spooky Pumpkin Castle"; "Pumpkin Planet Adventure" brings you into the beautiful galaxy; "BooBoo Pumpkin Party" is a photo op that you will see over 1,000 handmade pumpkin lanterns decorated the outdoor playground! Shopaholics shall not miss the "Weirdo Market" themed cats and dogs and the TAMA & FRIENDS Pop up-Store!